my brother don wanted to do something for wrestlemania 32. this was the result. please note this was my first time recording like this. i’m sorry for any issues that come up in the play back. 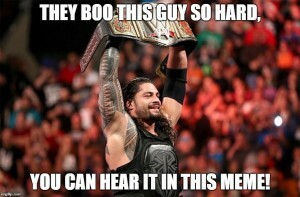 Its a show where EVERYONE is more over than roman reigns. the biggest show of the year in the biggest stadium in the country. how did it fair?